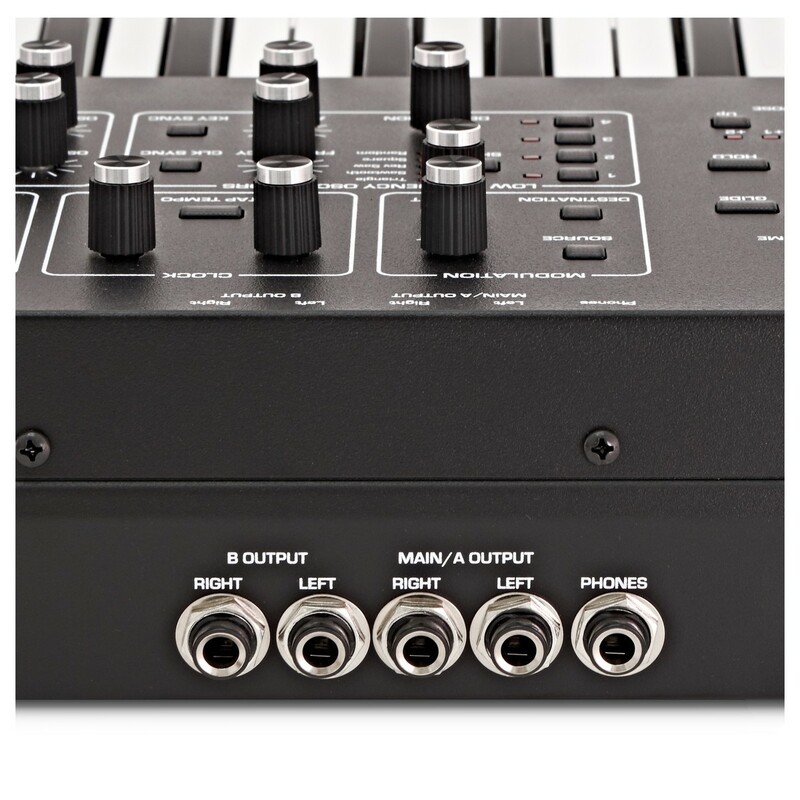 The Dave Smith Instruments Prophet Rev2 16 Voice Analog Poly Synth is a professional-grade polyphonic analog synthesizer featuring 16 voices with two DCOs per voice. The rich and vibrant sound engine features resonant Curtis filters as well as boasting a new range of upgrades and enhancements. 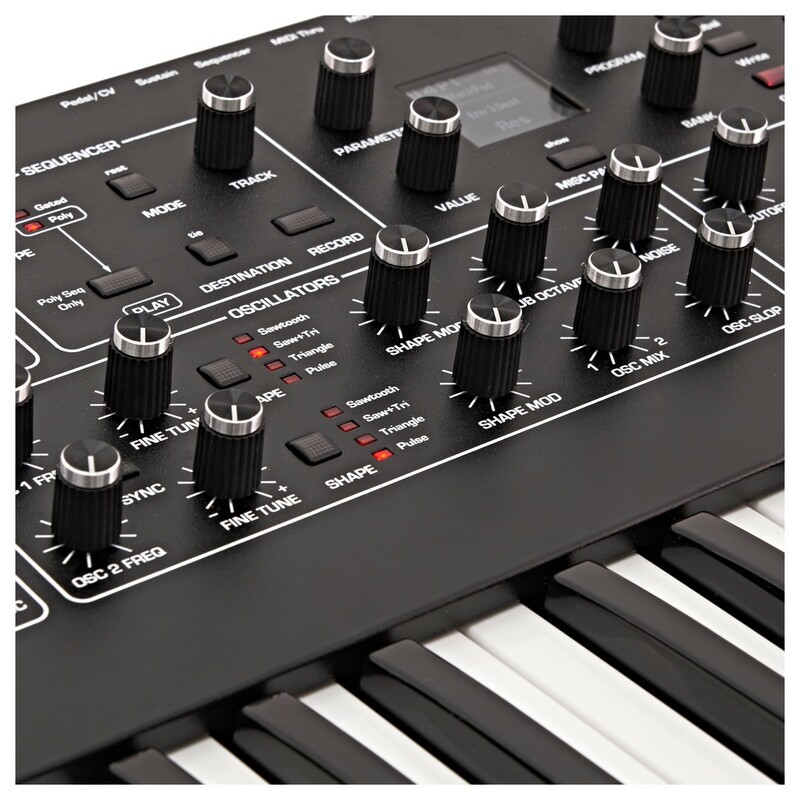 Building on the success of the original, the Dave Smith Prophet Rev2 Analog Synth now introduces polyphony to its synthesizer, ushering in a new world of creative options for the digital musician. 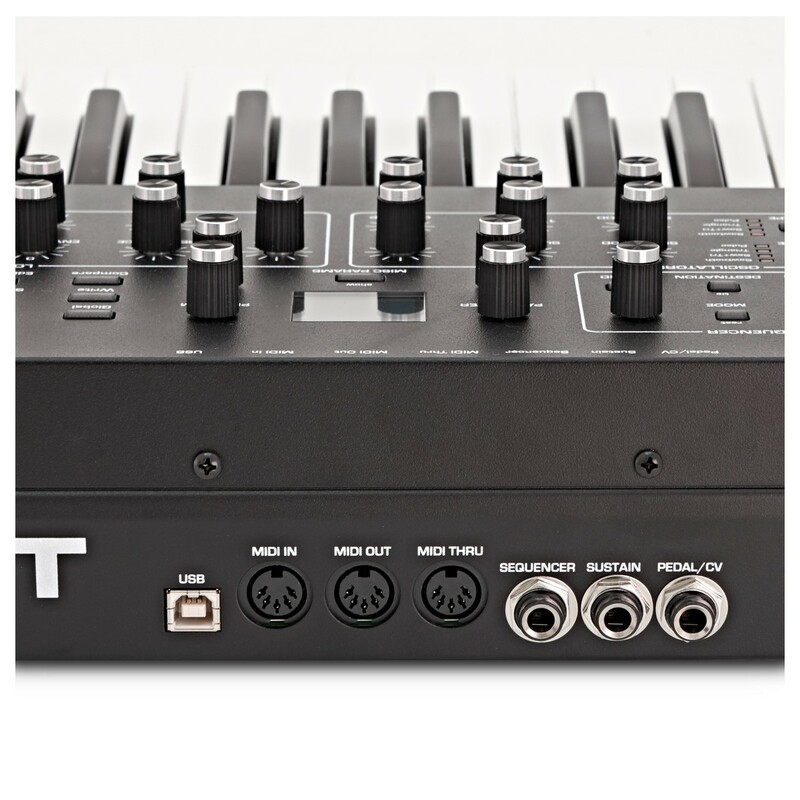 The Prophet Rev2 also features a brand-new polyphonic step sequencer built-in that allows up to 64 steps and up to 6 notes per step. The crisp OLED display provides visual feedback on all parameters and control, with the premium-quality semi-weighted keybed providing fluid playability. 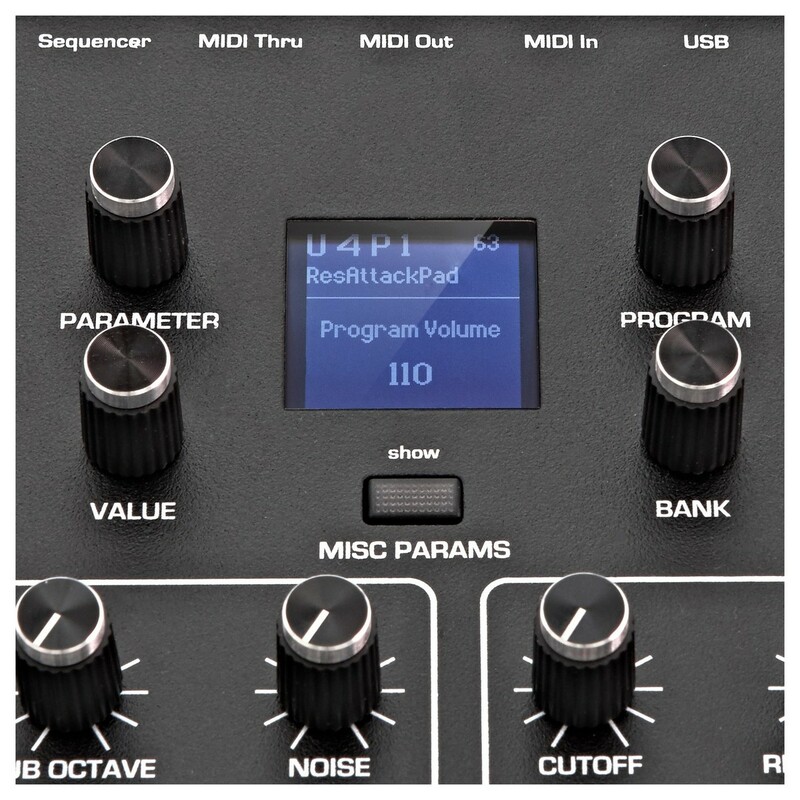 The Dave Smith Instruments Prophet Rev2 is also available in an 8-Voice version.